Did you see the video from last year’s Christmas Bowl Appeal? It told the stories of two farmers in Zimbabwe, Beauty and Jessina. Because of the drought, Beauty was struggling to put food on the table for her family. But Jessina was doing training in Conservation Farming, funded by Act for Peace, and from her crops she had enough surplus to invest in goats and poultry. Have you ever wondered what happened to Beauty and Jessina? Well here’s the back story. Beauty did the training but because she was undernourished she lacked the energy to do the work and plant the crops. So some workers were brought in to assist her and she is now farming using the Conservation Farming techniques. As for Jessina, she has a husband who had gone to South Africa to earn money for the family. Now he has come home and the two of them are implementing the Conservation Farming approach together. This year the focus story for the Christmas Bowl Appeal is about Achala, a child who was born in a refugee camp in Tamil Nadu, India and is cared for by her grandmother. At eight years of age she was diagnosed with leukemia and had to go through extensive treatment at a hospital that was far from the camp. For two years she and her grandmother had to travel overnight by bus to get to the hospital and the costs of transport as well as medication expenses mounted up. It would have been impossible for her to have this vital treatment without the financial assistance of an organization called OfERR, which is the partner of Act for Peace in India. Now she is a happy, healthy 12 year old. Now Act for Peace has sent me a video about Achala, but I’m not going to show it to you today. Because that video was created painstakingly over many months, and in the meantime, historical events have overtaken this story, and there are more urgent situations that need to be talked about. The first situation of urgency came to a head earlier this year when famine was declared in South Sudan, and Act for Peace began its East Africa Appeal. The people of this church community opened their hearts and gave generously, and I want to thank you all for your donations to this important cause. The second emergency is the plight of the Rohingya people, who after decades of oppression and statelessness, have been forced to flee their homes in Myanmar and cross the border to Bangladesh. This time, the church community has had a fund-raiser selling Christmas puddings to contribute to the Act for Peace appeal, and I’d like to thank everyone again for their generous support. The situation in the refugee camps in Bangladesh is extremely dire. To give you an idea, I’ll use the words of Raisa, a worker from ICCO Cooperation, the partner of Act for Peace in Bangladesh. As I entered the camp, I was greeted by hundreds of eyes staring at me with hope. But, they all seemed too weak to come up to me and ask for help. Those who were active, put down bamboo on the ground so that I could cross the muddy puddles and go further inside the camps. The Rohingya families soon understood that I had nothing to offer them; yet they welcomed me into their makeshift ‘homes’ to share stories of despair and destruction … I did not know what to say to them, so I turned away as my eyes became teary. I could not give them food or cash because there were hundreds of thousands waiting for the same. … I could not hold back my emotions any longer and as I was wiping off my tears, a Rohingya man came close to me and said, … ‘Sorry we made you cry.’ I wanted to say sorry for so many different reasons. I was sorry that they had to lose their home. I was sorry for their living conditions in the camps and the monsoon rains that made it even worse. I was sorry that they were starving and I could not do anything to help. But I could not say anything. As well as helping people like Achala in India, a portion of the funds from the Christmas Bowl Appeal this year will provide urgent care for hundreds of thousands of Rohingya refugees. And I hope that next year, I will have some heart-warming stories to tell you, like the stories about Beauty and Jessina in Zimbabwe. So please pray for those who are hungry, sick or living in poverty. Let us remember the work of Act for Peace and its local partners, thinking especially of the staff, the volunteers and the workers on the ground. 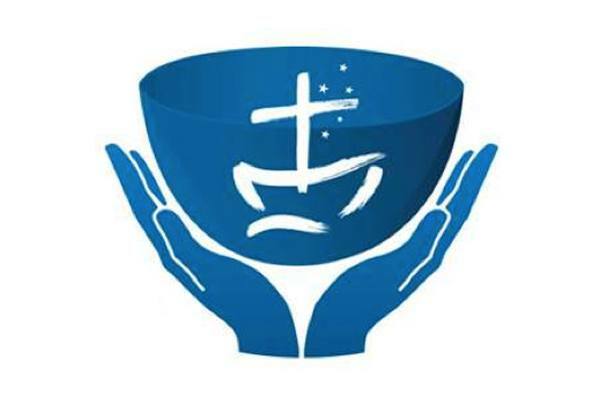 Let us pray, too, for other congregations in Australia who are faithfully responding to God’s call to bring hope and healing through the work of the Christmas Bowl. Thank you so much for your time, I’d be glad to talk with you and hear your questions or comments after the service.